Tim Tebow — the Heisman Trophy-winning quarterback who will appear in a pro-life ad during the Super Bowl — will attend the National Prayer Breakfast on Thursday, his agent tells POLITICO. President Obama and several lawmakers plan to attend the breakfast. Globally recognized pastor Joel Osteen has been drawing some flak from the press and the public in the past few months over his comments on homosexuality. 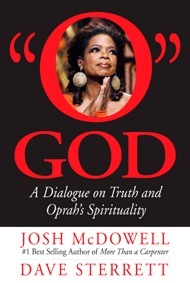 His remarks last year on “The View” and “Larry King Live” that “homosexuality is not God’s best” drew fire from the gay rights community and from Christians for avoiding to identify the behavior as a sin. More recently, his participation in the inauguration of Houston’s first openly gay mayor has also drawn some – but less fiery – attention. 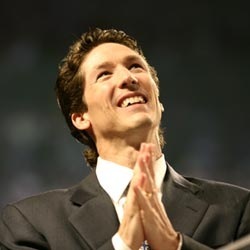 Pastor of America’s largest church, Osteen was invited to offer the opening prayer at the inauguration of Houston’s elected city officials on Monday. While praying for the 14-member City Council, he also specifically thanked God for the new mayor, Annise Parker, a partnered lesbian. And the Bible instructs believers to pray for and respect those who govern us, he added. “If you ask Joel he’ll tell you ‘when I can pray at an event over government leaders and in Jesus’ name it’s hard to resist,'” Iloff said. 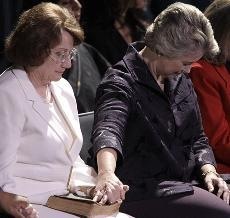 Osteen prayed for the previous mayor, Bill White, at his inauguration. The spokesman also pointed out that Parker has never pushed or highlighted any kind of gay agenda during her time in government and during her campaign. “She’s an all business kind of gal,” he said. During the swearing-in ceremony Monday, the former city controller addressed the economy, public safety and education. She also briefly addressed the gay, lesbian, bisexual and transgender community saying, “I feel your excitement and your joy, your apprehension and your longing for acceptance. I will gladly carry you forward. But today is simply one step toward a tomorrow of greater justice,” according to the Houston Chronicle. If Parker begins pushing a homosexual agenda, Iloff said Lakewood Church and Pastor Osteen are likely to distance themselves from her. Osteen does not affirm homosexual behavior. Though the pastor himself has never specifically called it a “sin,” his spokesman Iloff says they believe homosexuality is a sin. But sin is sin and homosexuality is no worse a sin than others, such as adultery, Iloff pointed out. Lakewood Church maintains good relations with city officials, some of whom attend the megachurch. Two of the City Council members are regular Lakewood attendees. Politicians, however, are not allowed to speak from the pulpit. “I can’t even tell you how many people just say, ‘Oh, get an abortion.’ Like it’s not a big deal,” says the star. Kourtney Kardashian, the famous socialite and model, told People magazine in a recent interview that she considered having her unborn child aborted but changed her mind after reading about the traumatizing effects of abortion online. “I looked online, and I was sitting on the bed hysterically crying, reading these stories of people who felt so guilty from having an abortion,” Kourtney told David Caplan of People. Kardashian, who is most famous for her role in the reality TV show Keeping Up with the Kardashians on E!, announced last week that she was pregnant. Though Kardashian openly supports abortion as a legitimate choice in her interview, she says that she wrestled with the decision, something she thinks not many people do. Disturbingly, though, Kardashian said a number of people advised her to get an abortion without much thought to the gravity of the matter. Luckily she was advised by a friend to see a doctor, and the doctor encouraged her to research abortion online. He also told her that she would never regret having the child, but she might very well regret aborting it. Washington, D.C. Rabbi Jack Moline posted some of the president’s statements in a series of live tweets, which went viral on the Internet before Moline deleted almost all the posts hours later. A handful of other Jewish clerics tweeted the event, which was not publicized by the White House. In a conference call with largely left-leaning faith leaders yesterday, Obama also used religously-charged terms to dismiss the notion that the government would fund abortion through the new legislation. Pro-life leaders immediately blasted the president for the comment, pointing out that the House version of the bill now explicitly calls for the funding of abortion in the government plan, as well as taxpayer subsidies of plans that cover abortions. 40 Days for Life, an international movement encouraging prayer, fasting and advocacy for the end of abortion that has exploded in popularity in recent years, accused the health reform campaign of mimicking its pro-life counterpart, but with the opposite result. “Who would have ever believed that the President of the United States would copy a page out of the 40 Days for Life playbook as a way to push abortion?” mused 40 Days for Life national director David Bereit in an email to members. In Judaeo-Christian tradition, forty days is a spiritually significant length of time, often dedicated to sustained prayer and purification. Meanwhile, strong warnings against the legislation in its current form have gone out from faith groups that oppose the killing of the unborn, including the U.S. Conference of Catholic Bishops, Focus on the Family, the Catholic Medical Association, the Christian Medical and Dental Association, and the Southern Baptist Convention. While many of the groups express eagerness for genuine health care reform, they say that the current bill would amount to a vast expansion of abortion, among other troubling aspects, and therefore should not be accepted. Christians Reviving America’s Values president Don Swarthout questioned the President’s apparent moralizing in favor of his own health care reform plans. He continued: “As a Pastor I may understand the Bible a little better than the average person. Apparently, the President thinks the Bible says government should help the poor instead of the Bible calling upon Christians to give to the poor. Google’s blog hosting service, Blogger.com, admits that in the name of “free speech” some of its blogs are “offensive, harmful, inaccurate,” but when one of its clients blogged in opposition to a transgender rights bill, Google drew the line. A day before the Massachusetts Legislature plans to review a controversial gender identity bill, Blogger.com blocked the blog of MassResistance, an organization that exposes the increasingly open agenda of the homosexual movement in Massachusetts, with a warning that some of the content may be “objectionable,” requiring readers to confirm their intent to visit. MassResistance blogger Amy Contrada, however, writes that the only potentially “objectionable” items on the blog are photos taken in public settings and her group’s politically incorrect viewpoints. “We’ve had that blog on there since 2005,” said Brian Camenker, president of MassResistance, “and only when we started posting on the new transgender bill before the Legislature did this happen. “If you look at Google’s policy on hate speech, they do state you can’t include hate against people for their sexual orientation or gender identity,” Camenker told WND. “But the things we write are all factual; we don’t advocate beating anyone up. On the other hand, there are an enormous number of blogs against religious people that are clearly vile and hateful, particularly during the Proposition 8 battle in California. Some of that content was hideous, and it’s still up. “Nothing on our site could be construed as ‘hate,'” Camenker said. MassResistance, however, told WND that Google’s actions speak louder than the words in its policies. Contrada told WND that as more and more states – and even the federal government – look to pass “hate speech” bills and laws protecting the undefined labels of “sexual orientation” and “gender identity,” Americans will be shocked, both by what they see displayed on the public streets and by what they can’t say in the public square. Camenker also said that as Google becomes more technologically entrenched in every aspect of communications, he fears how content will be monitored in the future. “The Flag button isn’t censorship and it can’t be manipulated by angry mobs,” the Google page reads. “Political dissent? Incendiary opinions? Just plain crazy? Bring it on. Ignoring major American patriotic and religious holidays, while honoring Remembrance Day in Australia, Canada, Ireland and the United Kingdom, the Chinese New Year, Valentine’s Day, Halloween and other observances. MassResistance told WND it is currently in the process of backing up its blog content and transferring the blog to a different host service. Editor’s note: Once a reader confirms he or she wishes to access the MassResistance blog, the content warning no longer appears in subsequent visits to the blog.